It was 15 C and sunny when I left Rome. The weekend before I left I met a friend for an aperitivo which we enjoyed sitting outside with a grand view of the Valentino building in Rome. Incidentally, Valentino is now owned by the Prime Minister of Quatar which might explain the showy and glittering Christmas display! 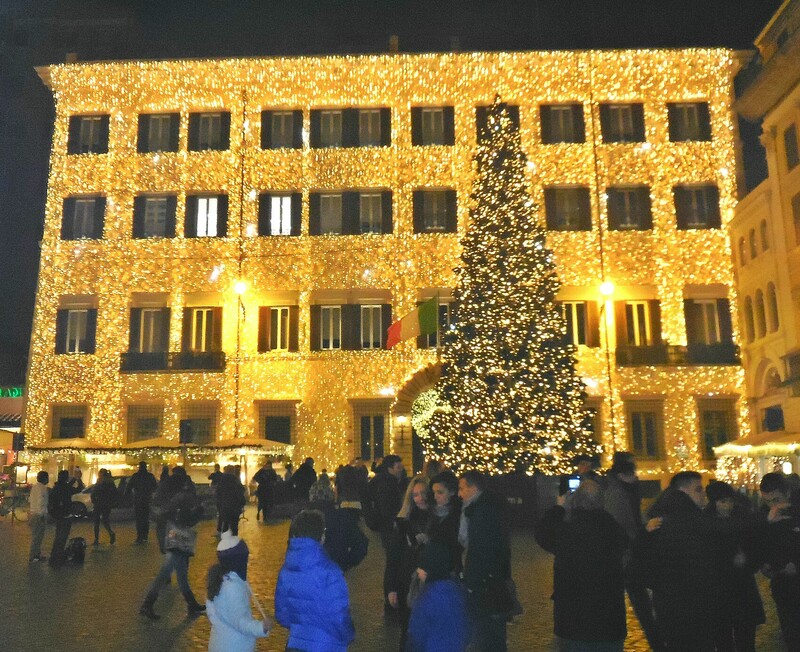 In the rest of Rome, particularly in places where the city puts up a Christmas tree, the Mayor, Virginia Raggi, has opted for more meagre offerings. 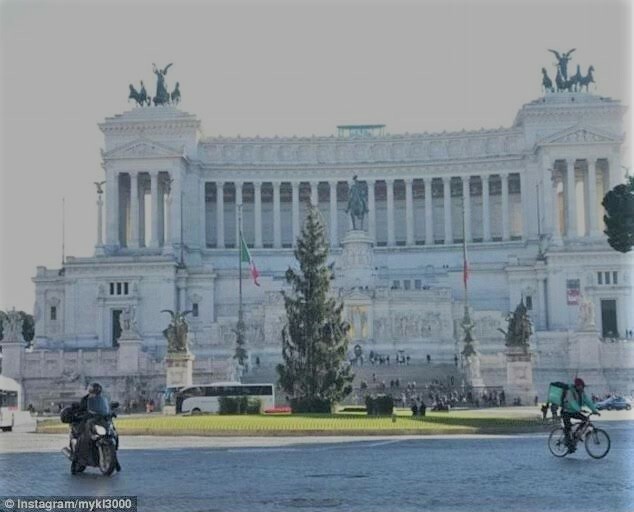 The tree in Piazza Venezia has always been very grand and quite spectacular but this year it was so feeble and sparse that the citizens actually complained with nasty comments on social media sites calling it L’Albero dell’Austerita (Austerity Tree). International newspapers such as The Guardian and the Huffington Post, joined the bandwagon comparing it unfavourably to trees in other cities. In shame, the City of Rome added more decorations and placed an enormous star on top. I guess no matter how difficult the times, people don’t want to be reminded of austerity at Christmas time. Anyhow, I knew that I was in for a nasty shock when I looked out of the plane window as we were landing at Toronto airport and saw a blanket of snow. It was close to -10C when I landed and probably colder with wind chill. I felt I might catch pneumonia while waiting for a cab. However, there is a charm to a wintery landscape and upon passing our provincial legislature building at Queen’s Park a few days later, I got a postcard picture of our decorous Christmas tree which actually grows in front of the building thus not provoking complaints of cutting down trees for Christmas and environmental waste. I’m ashamed to say that with temperatures in the minus digits, I feel like staying indoors as much as possible. 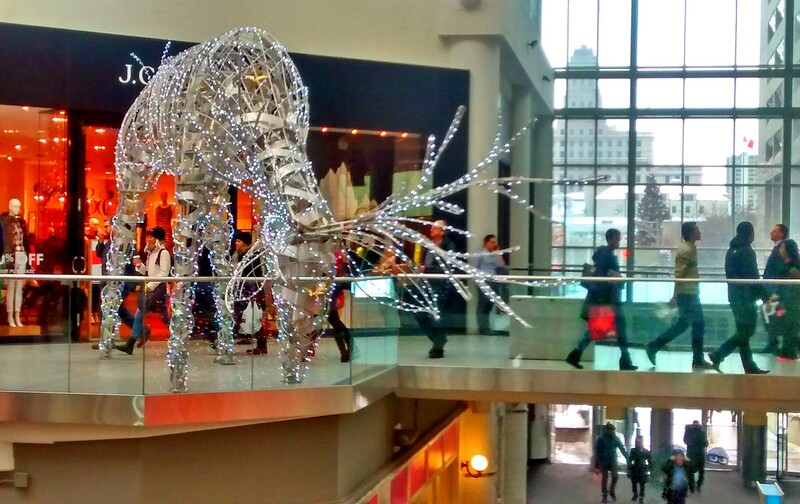 I guess this reindeer feels the same and has taken refuge in the Eaton Shopping Centre! The illuminated tree in the middle of the shopping centre is gigantic this year as you can see above. There is something magical about bright and colourful lights in the middle of winter and many people were stopping to admire it and take photos. Despite the cold, I`m happy to be back with family and friends and I wouldn’t opt to not be here. On that note, a Merry Christmas to all my readers, I hope you have the opportunity to spend it with those closest to you. In these times of hardship and strife for so many people, I feel lucky and grateful to have family, friends, food, warmth and shelter and to be able to enjoy the Christmas season. For those not as lucky as me, I send you wishes for better times. 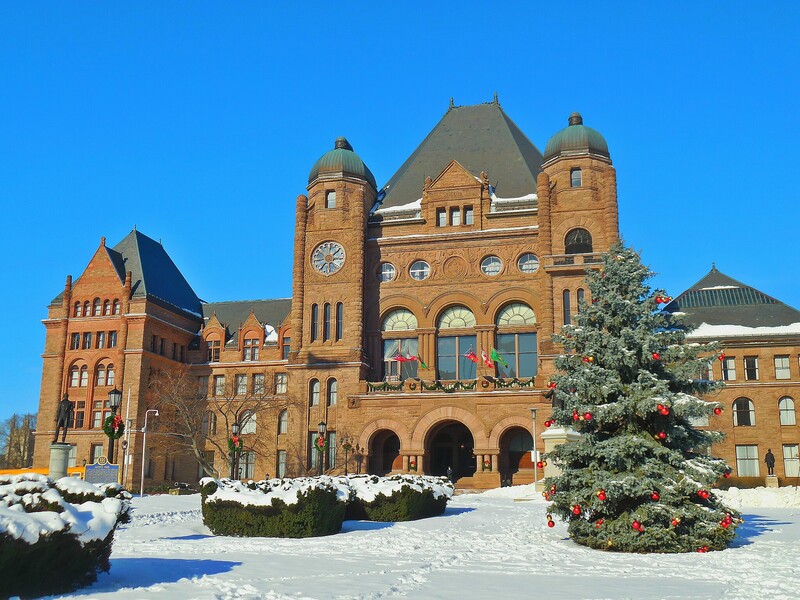 Great pics of Rome and Toronto – glad to see that you are back with family for Xmas. Have a Happy Christmas and lets hope the New Year brings in Health and peace. Thanks Sandra. It would be hard for this year to be worse than the last one for me so I hopoe I’m not wrong in thinking this!